Listed below are distinct turnpikes and other tolled facilities. Oftentimes these routes are known by their proper name, and not by which number they carry. This section of AARoads catalogs each facility and includes defunct or decommissioned toll roads. When available, turnpike names will lead to pertinent off-site pages containing information, photos, and history. Additions, corrections, and other suggestions are welcomed, please drop us an email. 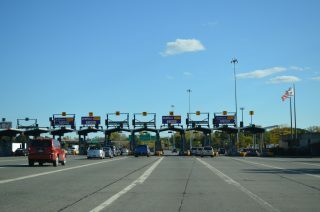 Entering the Interchange 24 toll plaza, where Interstate 87 north leaves the New York Thruway for the Adirondack Northway and I-90 east loops through Albany. Photo taken 10/05/14. The New York Thruway mainline, between Buffalo and New York City, was constructed in the early 1950s. Additional sections were added by 1960 to include the Erie Section (I-90), Niagara Section (I-190), New England Thruway (I-95) and the Berkshire Section (I-90). 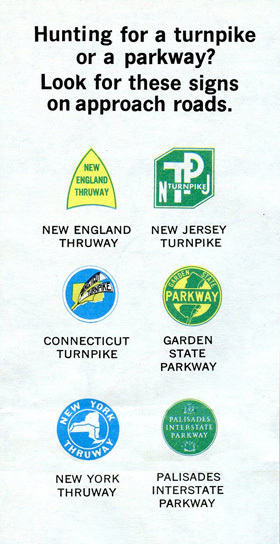 1970s Gousha highway maps for the New York City metropolitan area included graphics for the area toll roads (and Palisades Interstate Parkway). Distinct trailblazers were posted for most turnpikes from the 1960s onwards. 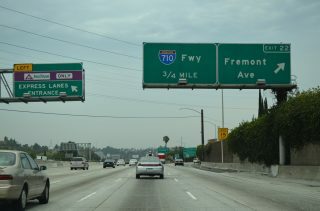 Interstate 10 west at the Express Lanes ingress point preceding the 710 freeway in Monterey Park. Photo taken 07/14/14. The 14-mile Metro ExpressLanes on Interstate 10 in Southern California began operations on February 23, 2013. This was preceded by the opening of the 11-mile long toll lanes along the 110 / Harbor Freeway on November 10, 2012. 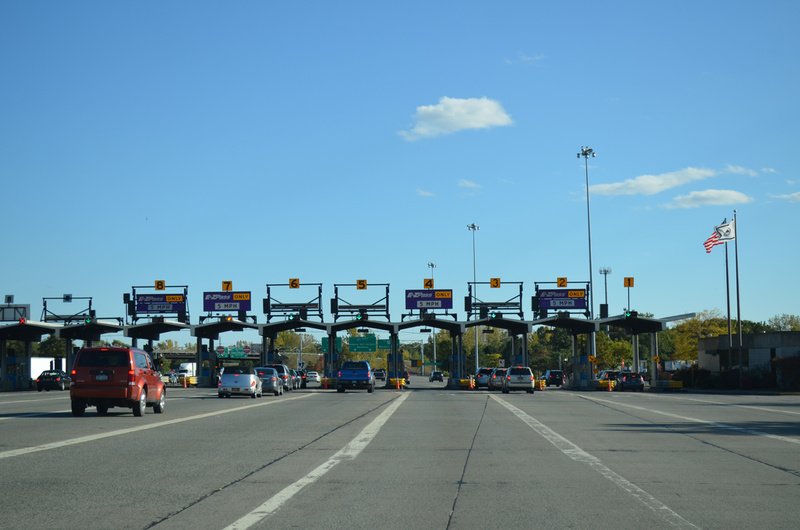 The following list includes Interstate highways utilizing High Occupancy Toll (HO/T) or Express Toll Lanes. These routes include a set of free general travel lanes and one or more tolled lanes or a tolled roadway separate from the freeway mainline. Page updated November 16, 2015.